Despite the fact that it is rainy, chilly and gray, I have it on good authority that summer is on its way. The first sign? Summer Reading sign ups start June 1. 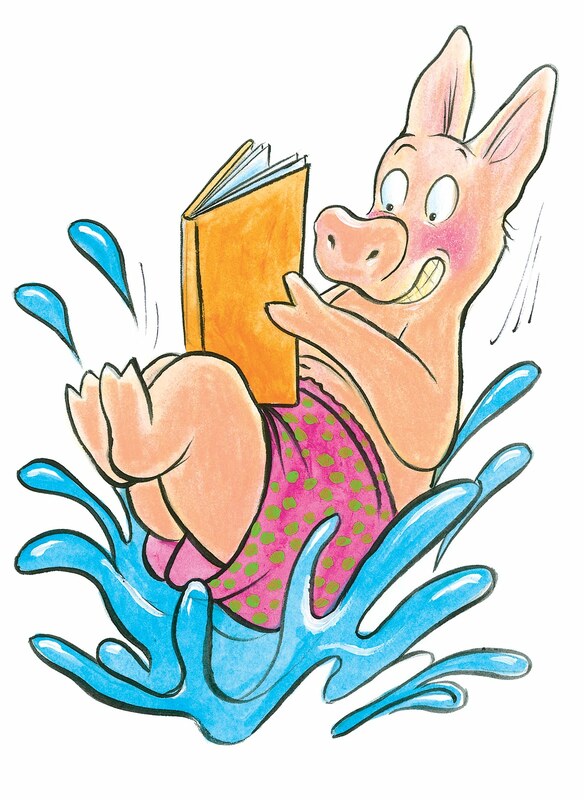 Kids (babies on up), teens and even grownups can sign up for some summer reading. Work on your reading goal over the summer for some fantastic rewards. We've also got plenty of fantastic programs for all ages. Teens and adults get things started with a concert Friday, June 4 from 7-8:30 pm with local band Deelay Ceelay, just named the one of the top three best new bands in Portland. For kids, the awesome teacher trio Recess Monkey will be rocking the house on Tuesday, June 22 from 4-5 p.m. This is just for grown-ups. Are any of you big Molly Ringwald fans like me? She was my idol in middle school and I have a soft spot for all her teen movies and all the other movies with those same actors that came out at the same time. John Cusack is another one whose movies I love. Say Anything was the start of my crush. In spite of the horrific cover, which my husband actually pointed out to me is a pretty good illustration of what movie posters were like back then, I highly recommend You Couldn't Ignore Me If You Tried: The Brat Pack, John Hughes, and Their Impact on a Generation, by Susannah Gora. I couldn't put it down. It is a long book with small type and no pictures, but I finished it in 3 days. If you want all the behind-the scenes details of the making of all those movies and want to know what those stars have been up to, you have to read this book! Who's responsible for the ad? What is the ad actually saying? What does it want you to buy, do, or think? 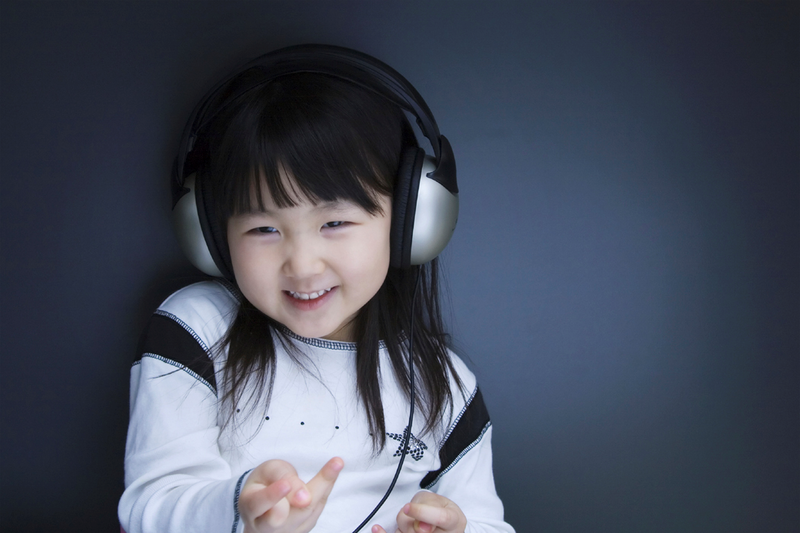 Check it out at http://www.admongo.gov/ and help your young one parse those pitches. I learned a lot myself just by reading the glossary! Our Super Readers Book Club just wrapped up a year of reading. The top three reads of the year were Marley: A Dog Like No Other by John Grogan, The True Confessions of Charlotte Doyle by Avi and Sasquatch by Roland Smith (who will be visiting the library in June!). Our Super Readers recommended these titles for some summer reading. Next year the group, for readers in 4th through 6th grade, will be reading the Oregon Reader's Choice Award (ORCA) nominees and then participating in the state-wide voting! The good weather is upon us and with it time to take trips. Whether you're heading out for the day or longer, don't forget to stop by your library before you go. Audio books are a great way to make your car or train ride a bit smoother. My Recommendation: Rabbit Ears Collection There are several volumes in the exceptional series, with famous voices (think Angelica Houston and Nicholas Cage) telling classic children's tales, like Paul Bunyan and Peter Rabbit. I first heard these on public radio a few years ago and fell in love. Also, for grownups, there is a great honor book collection of paperbacks upstairs. Just pick out a couple and write down how many you take on the clipboard next to the books. These are donated copies that you don't need to use your library card to check out (great for taking to the beach or on an airplane). Liam is big for his age. By "big" I mean, when out with a classmate he's mistaken as her father and allowed to test drive a Porsche. This, of course, has its advantages but can also lead to being grounded for life. So when Liam gets a phone call with an incredible opportunity to test a new amusement park ride (in China) with his child, he jumps at the opportunity. Liam tells his actual grownups that he'll be at an outdoor camp and cajoles Florida to be his pretend child. What Liam doesn't know is that this is like no thrill ride he's ever seen and is in fact a rocket, as in, an outer space rocket. Frank Cottrel Boyce's Cosmic follows Liam's adventures from ground to space and, hopefully, back again. Along the way he wrestles with what it means to be a dad, a leader, and a good team. At times funny and poignant, this is a great family read. Does your youngster dream of political greatness? They can get a headstart with the City of Tigard's poster/essay/video contest "If I Were Mayor" going on now through May 28th. Check the City's page for the full set of rules and how-to's. Tigard students (including homeschoolers) in grades 4th-12th can enter! Also, the City is sponsoring a sidewalk art contest to decorate the new Burnham Street/Ash Street sidewalks. Students in 6th-8th can try their hand at creating a design for a concrete stamp depicting either the Western Pond Turtle or the Northern Red-Legged Frog. Check the City's page if you, like me, have no idea what either of those look like (and for more information!). In a final note, the City has had to make some service and program reductions to support the budget. As of June 1st, the library will open three hours later on Thursday mornings, opening at 1 p.m instead of 10 a.m. Because of this and staff reductions, the Youth Services staff are making some small programming changes. Book Babies, starting in June, will move to Monday mornings at 10:30 a.m. The Monday morning Preschool Story Time will be cancelled, although the Thursday afternoon Preschool Story Time will continue at 1:15 p.m. instead of 1 p.m. Also starting this summer, two Weekend Adventures a month will be offered instead of four. More information will follow with the new program brochure at the end of May and on the library's page of Kids Events. Middle school halls can be a dangerous place. Litter droppers, rubber band snappers, tween politicians, hallway skaters, fake hall pass carriers, the list goes on and on. I'm not sure that's an environment I want to subject myself to, that's for sure. Except for at Rampart Middle School. Those halls are safe. We needn't fear anything, because Griff Carver, HP First Class is on the job, right? Not to mention Tommy Rodriguez, HP Second Class, a decorated Camp Scout with mad martial arts skills or Verity King, editor of the school newspaper and Junior Journalist of the Year. How can a school not be safe with three such bright stars in its midst? Well, there is Marcus Volger, class presidential candidate and possible kingpin of the underworld at Rampart Middle. And Principal Sprangue, who has got his eye on Carver. Maybe things aren't as safe as they seem. 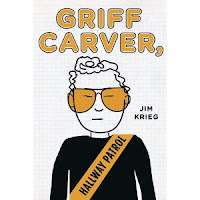 If you want a behind-the-scenes peek into the inner workings of your every day middle school, Griff Carver, Hallway Patrol, by Jim Krieg is the book for you.